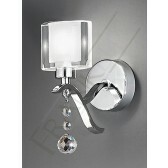 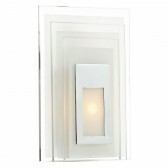 A part of the modern range, Theory range by Franklite, this 1 light wall light is a simple yet dazzling design. 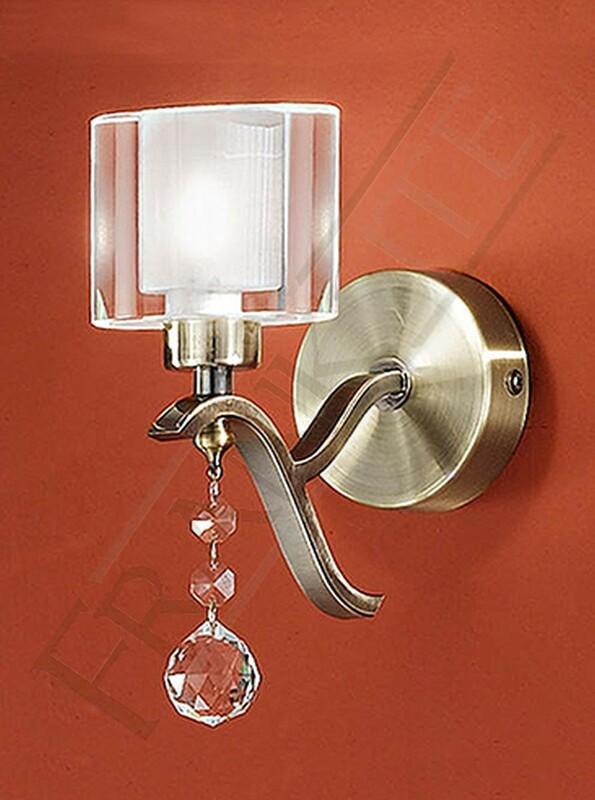 A bronze finished fitting with a curved square section arm complete with a elegant oval shaped clear glass with a frosted centre and clear crystal drop design. 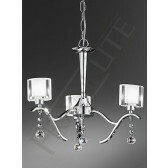 Supplied with G9 mains voltage lamps which are suitable for dimming. 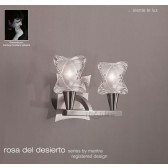 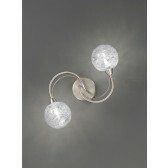 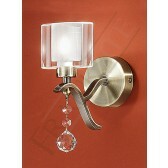 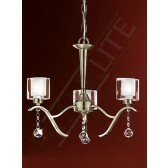 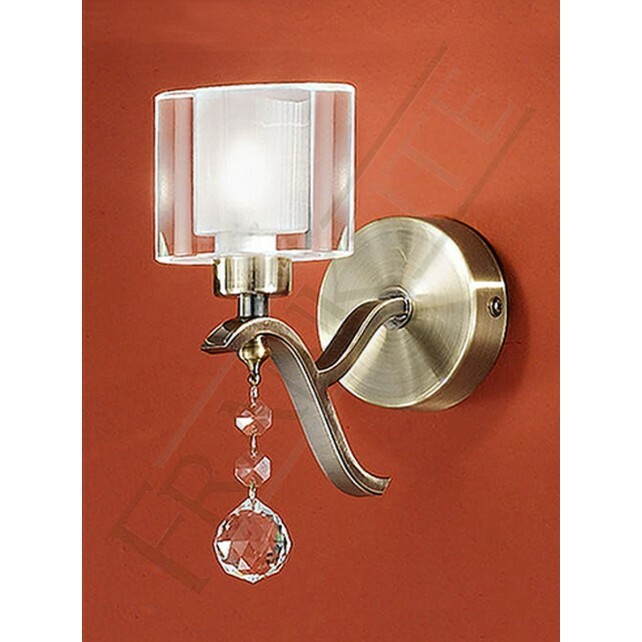 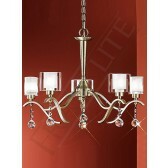 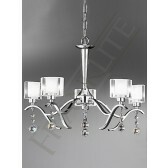 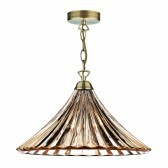 This light would look ideal in a bedroom or a part of your living areas matching the other fittings from this range.